What is BMW Select Financing? If you’ve ever wanted the benefits of both leasing and financing, it’s time for you to learn the answer to the question, “What is BMW Select?” BMW Select combines the low monthly payments of leasing with the eventual ownership of new car buying into one flexible program. Learn more about BMW Select below, and how it can make your car shopping experience more rewarding. How Does BMW Select Financing Work? You’ll set a term up front before you begin making payments on your new BMW. Each month, you’ll make low payments to cover interest. At the end of the established time period, you’ll make an additional balloon payment to cover the principal. You’ll know how much is due up front, so you can plan and save accordingly. What is a Balloon Payment? Refinance the balloon payment amount with BMW Financial Services. Make the final payment to complete the transaction. Trade-in or sell the vehicle. If it’s worth more than the final payment, you can pocket the difference. What Are the Benefits of the BMW Select Program? Lower Monthly Payments: Unlike traditional financing, you can keep more of your money in the bank and plan as necessary for your final balloon payment. No End-of-Term Inspection: You won’t have to schedule an end-of-term inspection or cover excess wear charges. No Mileage Restrictions: Technically, you’re the owner of the vehicle, so you don’t have to worry about mileage limits as you cruise throughout Walnut Creek. Eventual Ownership: After you make your final balloon payment, the title will be in your name and the car will officially be yours. 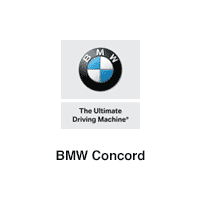 Learn More About BMW Select at BMW Concord in Concord! Still have questions about BMW Select financing? Contact us at BMW Concord, or schedule a test drive near Lafayette and Alamo. We can assist you in finding the right financing solution for you, and pair you with a new BMW like the BMW 4-Series or BMW X4. BMW 0-60 MPH Times: Which Is the Fastest BMW? Guide to BMW Warning Lights: What Do They Mean? 0 comment(s) so far on What is BMW Select Financing?